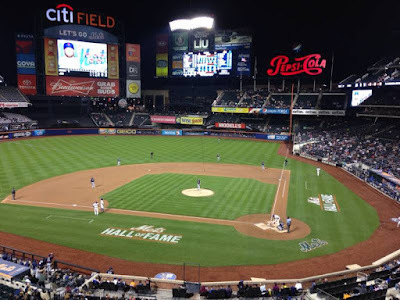 Friday May 7th, 2010: This was the second season the Mets were playing at Citi Field & tonight's game would mark the Mets first walk off HR win at the new ball park. Jerry Manuel's Mets (16-13) hosted Bruce Bochy's San Francisco Giants (17-11). The Mets would finish fourth in 2010 as another poor era in Mets history was underway, the Giants went on to surprise everyone winning that years World Series. This game would be highlighted by the Mets catcher, Rod Barajas & big offensive evening. 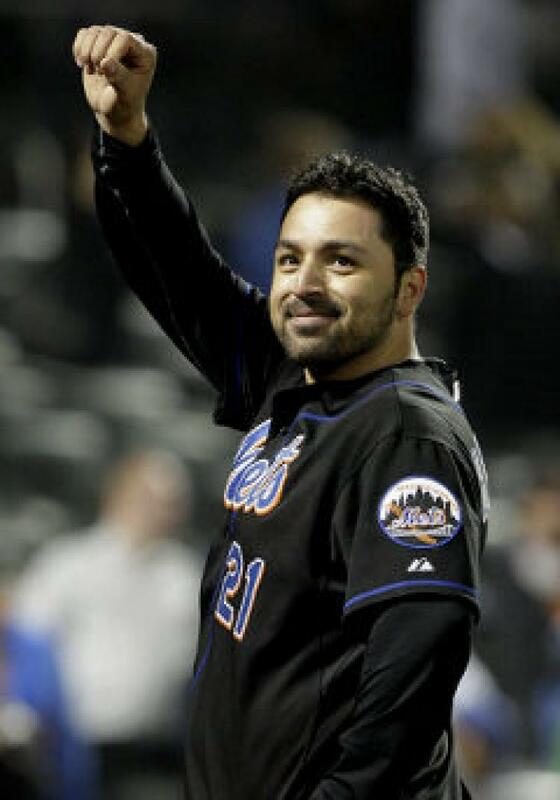 Barajas, a Mets 12 year veteran at the time, came to the Mets via free agency. He started out the season, shocking everyone by putting up huge slugging numbers. Up to this point in the season he already had seven HRs with a pair of multi HR games in April, while playing in just 23 games. In the 1st inning, the Mets went ahead 1-0 on Jason Bay's solo HR. In the 2nd, Ike Davis hit one his two HRs on the night, a solo shot to make it 2-0. Next the hot hitting Barajas, followed with another solo shot, his eighth HR of the year putting New York ahead 2-1. In the home 4th, Davis followed with his second HR giving the Mets a 4-3 lead. The Giants battled back, scoring two runs in the 5th inning, highlighted by an Aaron Rowand double. In the 9th, Mets troubled closer Frankie Rodriguez (K-Rod) surrendered a pinch hit HR to John Bowker tying the game. 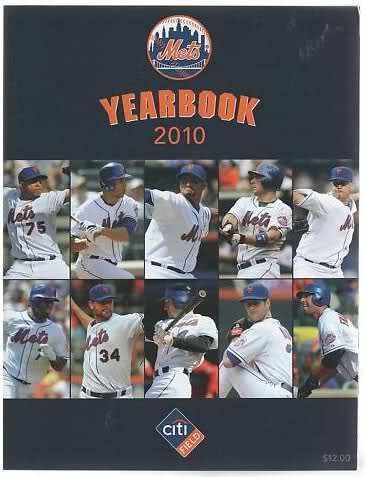 It looked like another blown save & bad Mets loss for 2010. But in the bottom of the 9th, with Sergio Romo on the mound, Ike Davis drew a one out walk. Then the man of the hour, Rod Barajas stepped in & hit the first Mets walk off HR at Citi Field, giving the Mets an exciting 6-4 win. It was Barajas 9th HR up that point in the season. He would hit just three more in the next three months before having his contract purchased by the Los Angeles Dodgers on August 22nd, 1010.